Born in San Juan, Puerto Rico, Martinez (better known as “White Shoes”) has spent most of his life in the service of others. 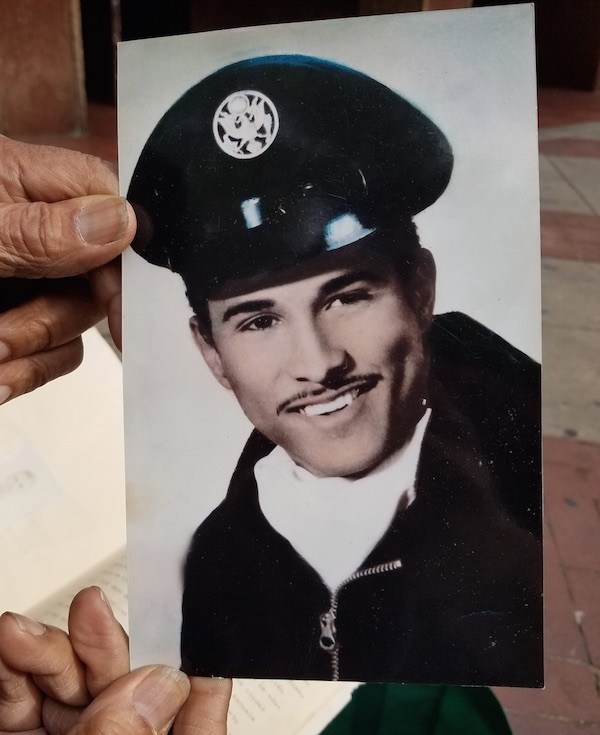 He arrived in New York in 1954 and served 24 years in the United States Air Force. He was one of the founders of the Puerto Rican Day Parades of Brooklyn, Bronx and Queens. 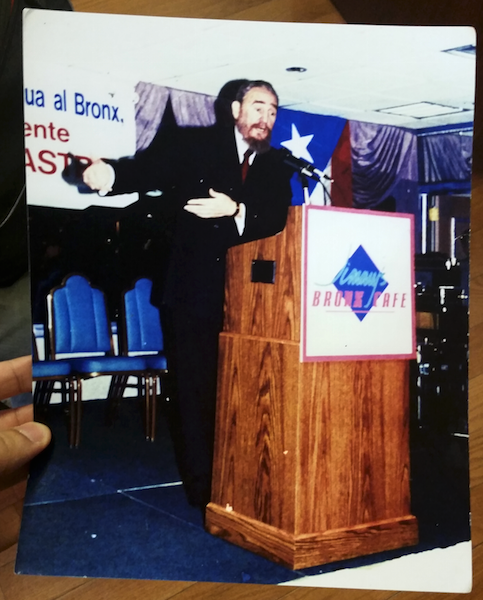 Luis still runs a column for La Voz Hispana entitled “Asuntos De La Comundiad,” where he shares photos of Latino community events throughout New York City. 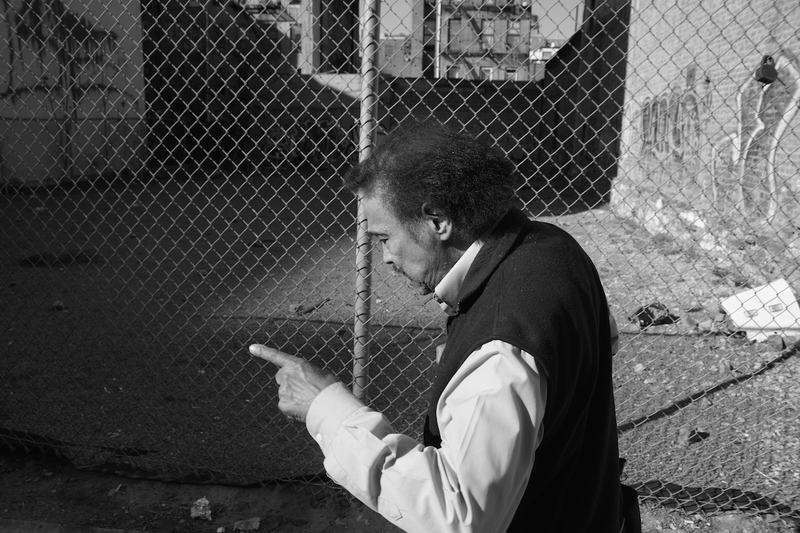 Recently, I had the opportunity to chat with “White Shoes” about his life and his craft. Andrew J. Padilla: How’d you start taking photographs? Luis Martinez: When you… when anybody enters the Air Force, the first thing they do is take photos. To have photos of all the places you’ve been. Iran, Pakistan, China, everyone that was with me, every time we left the plane, I’d take their photo. Back in the day, all of this, camera and films, it was cheap in the military stores, now with digital, it’s even cheaper. Everyone’s got a good camera. AJP: How did you come to El Barrio? LM: When they killed my brother, my mom was alone in Puerto Rico, I eventually joined the service and had to go to, so I brought her to live in NYCHA Lehman Houses. Our neighbors took care of her so well, they always watched out for her. So when she died in the 80s, I stayed in the same apartment. AJP: What happened to your brother? LM: My brother was a fighter en Hato Rey y Río Piedras. One day, he was leaving the University of Puerto Rico with his girlfriend and a friend of theirs, she walking a bit behind them when a group of men came up and tried to attack her. He ran back and fought them. They cut his jugular. Somehow he survived, passed out in front of a clinic, only to be killed in Korea. An ambush. They were sleeping when it happened. AJP: How old were you? LM: I was just 9 when he died. I wish I’d gotten to know my brother as an adult. 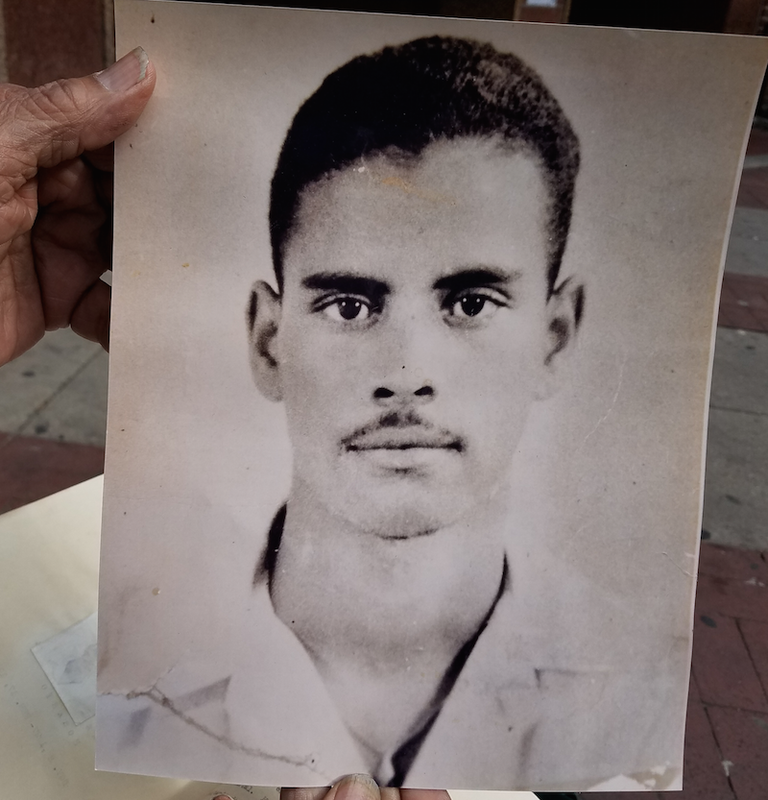 He was one of the smartest students at the University of Puerto Rico before he joined the 65th infantry. You know they were all Puerto Rican? The Borinqueneers. They got sent to all of the most dangerous missions. Suicide missions. Most of them died. 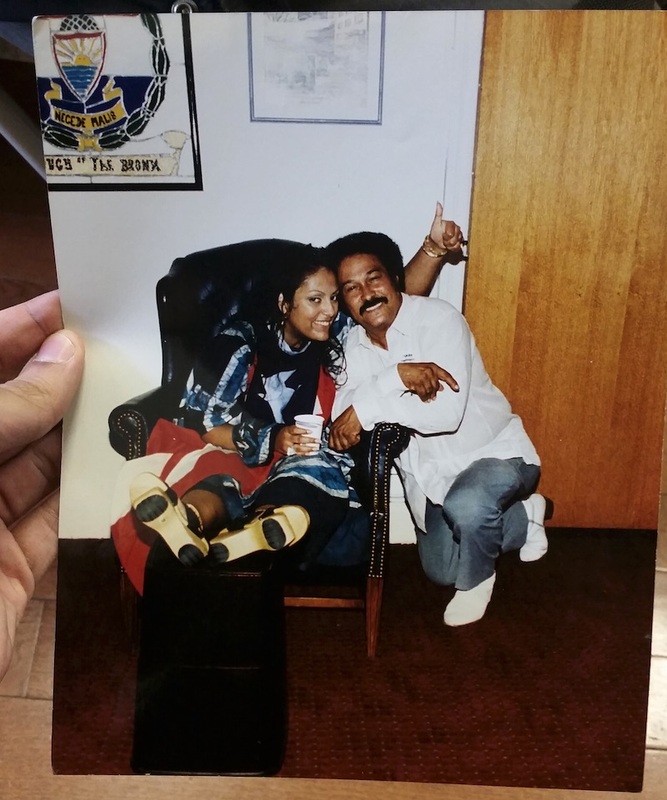 I actually found out about the ambush from a friend who lives on 117th street in El Barrio now. LM: The people you meet, that’s one of the best things about being a photographer. I have met so many people over the years. Musicians, baseball players, politicians. I’ve photographed all of the leaders in this city! I knew Koch, Dinkins, Cuomo, the dad that passed away, Pataki, he was very nice with me. 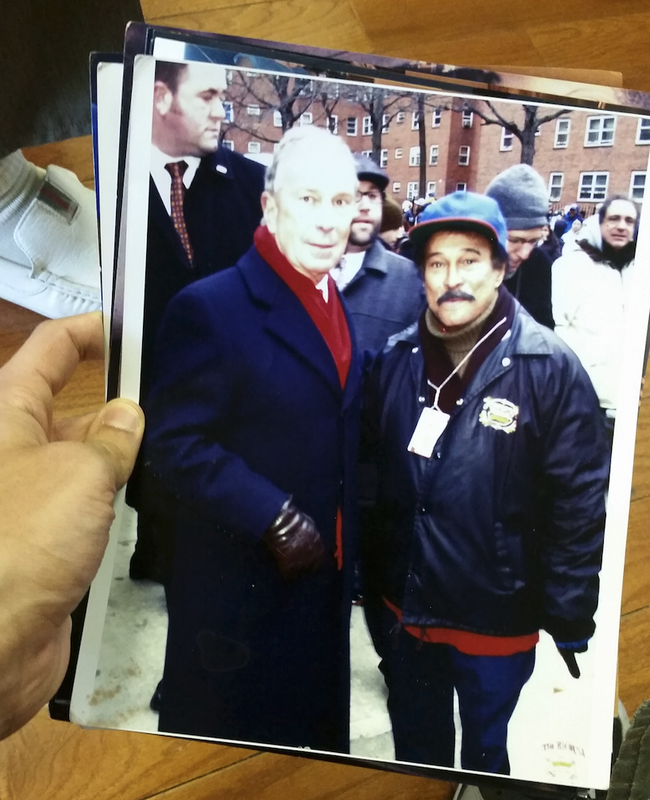 Even Mayor Bloomberg would yell out “Hey ‘White Shoes!’ at the 111th Street Stickball Festival. I know them all and I know the things they don’t want anybody to know. AJP: What secrets did they not want people to know? LM: Well, Hillary didn’t really win at dominoes, it was just a photo, they needed to make the photo happen and that’s the only way they could do it. AJP: What are your dreams? LM: I want to put together a book with photos from all of the parades in New York, all of our festivals. A book that talks about the great leaders we’ve had, that almost no one remembers. People like Ramon Velez. He was one of the smartest people to ever help the Puerto Ricans. People may say their things about him. Some of it was true, but he wasn’t like Boricua leaders today, that take care of others before Puerto Ricans, before Latinos, before their community. So many people in this world today are looking out for only themselves. They’ll fight their brother just to do better, in the end we all lose. AJP: What keeps you going? LM: So many photographers in the barrio have gone away, those people, those papers died. I’m one of the few local reporters left. People tell me, ‘Luis, you need to calm down, take care of yourself.’ But this is my life. I’ve been taking photos professionally for almost 40 years now. People come up to me on the street all the time and tell me about the birthday I photographed 28 years ago. That’s why I still do it. Before I can ask another question, Luis gets a call from his editor, “I need to get together the best photos for four events, write up what happened and who was there. I’ll be up late tonight.” White Shoes ends our interview and hurries off to make his deadline. I’ve been fortunate to have met and shared talks with Luis Martinez. A true New York legend! 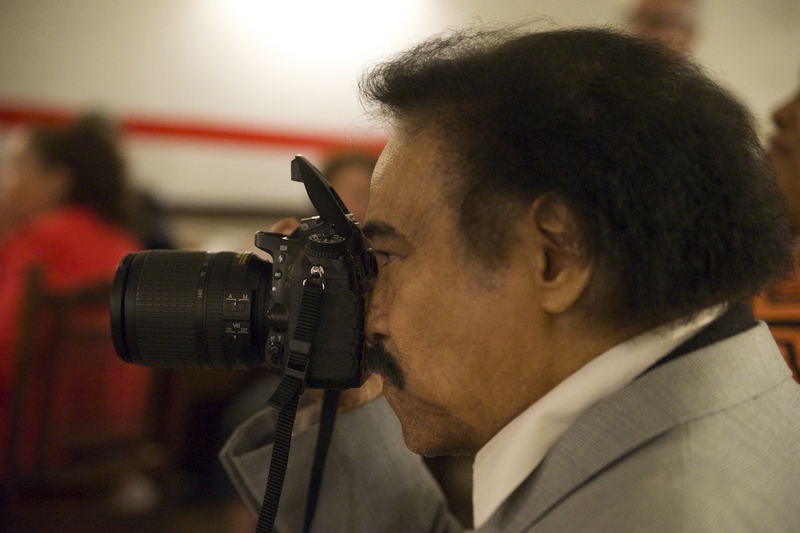 He has been instrumental in archiving historical photographs and reporting on Community activities for La Voz Hispana. It’s always a pleasure to run into him during community festivals, and other affairs!